We at PokerInside.com have three solid promotions this month for you William Hill players. 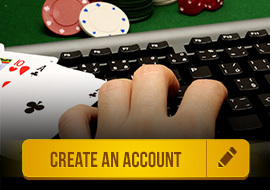 * These are all in addition to PokerInside's exclusive points chase and other benefits! If you are not playing at William Hill and receiving the Monthly Points Chase benefits you are missing out, click here to see more. There is more than $20,000 up for grabs in three exclusive races at William Hill Poker! Whether you like cash games, tournaments or Sit & Go's, you can play your favorite games and walk away with some massive cash prizes andiPOPS V main event seats! The iPoker Online Poker Series (iPOPS) is back for a fifth time at William Hill Poker and it's bigger than ever! With more than $1.25 Million Guaranteed across 16 events and buy-ins as low as $1.10, this is the tournament series you don't want to miss! Play the Irish Open qualifiers at William Hill Poker and you can grab a €3,200 package to the Irish Open Main Event! Satellites are running right now to fit every budget so make sure you start playing right away! The 2014 Irish Open is set to take place at the Burlington Hotel in Dublin and will run between April 17th - April 21st, 2014. Download one of the world's best poker rooms and get started. Make sure to use the code: WHPVIP when signing up, this will ensure that you receive the extra bonus! Private Exclusive Monthly Points Chase for our members ONLY!!!! Points to cash exchange. Trade in points whenever you want for cash! $1 in rake = 25 Points! These benefits are on top of all the benefits above!!! Tons of William Hill run promotions like races, freerolls, live events, and more. Posted on Nov 22nd 2015 - Subject: ..